On the right the crestst of the seven provinces. 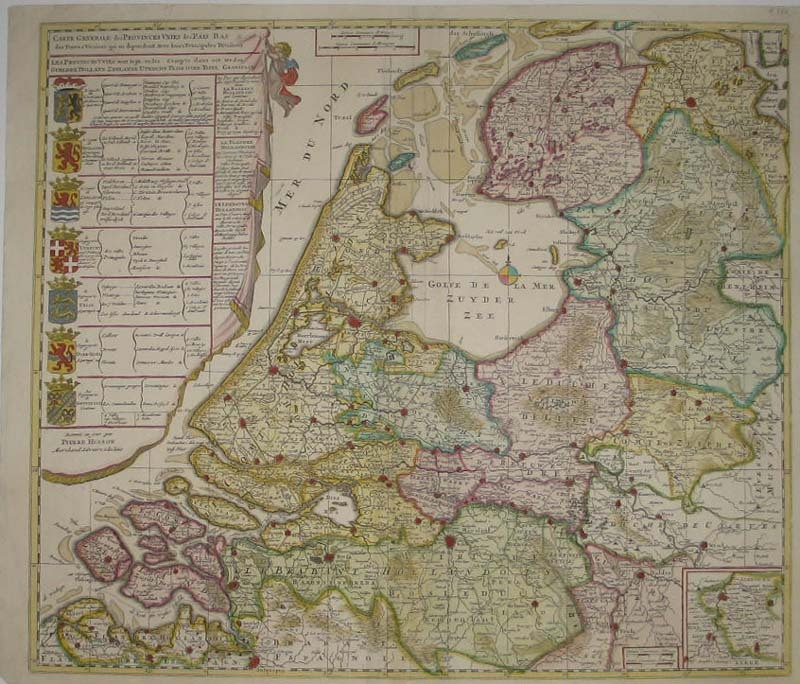 In the lower right corner an inset map of Limburg and Liege. This is the first state of the six. From : Varia Tabulae geographicae in auibus Loca in Orbe Bello flagrantia conspicuntur… Verso blanc.